In an area such as the Eastern Europe, marked by a recent comunist history and a long centralized economy, there are still some preconceived ideas related to the status and the work of a manager. Frequently, the manager is identified through the concept of a traditional ”boss” that holds all the power in the company that he leading and he is using it to hire and to fire, to raise salaries or to reduce salaries and to order the employees to accomplish something. The Fundamentals of Management textbook exceeds these preconceptions, showing the students who are working on their bachelor’s degree or their master’s degree in the area of management and other readers, the entire spectrum of concepts and managements practices and management practices that the modern manager is using. 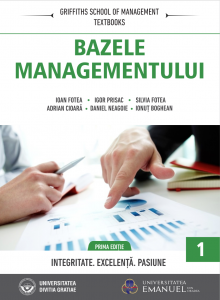 The purpose of this textbook is not only to help students understand the meaning of modern management but also to equip them to become competent managers. Maximizing the profit, cutting down the costs, utilizing the limited resources, shortcuts, optimizing the production processes, estimating and assuming the economic risks are just a part of the approached subjects in this book. Applicable theories are presented in the economic reality. At the same time the textbook presents these concepts, and some of them are of high difficulty, and they are simply presented. Through the use of many examples and applications their utility, versatility and functionality are emphasized. A person with managerial training must be an informed person with a versatile approach that must know the offered support by math and the rigors that this offers to the decisional process. The managerial processes are strengthened by the awareness that these math solutions exist and can be considered and integrated, and the math thinking helps the processes to conceptualize at a superior level. A manager can not only enhance the performance of the decisional act based on the math theory, but also to understand to control and to project the system of administrations or plan the decisional processes, the applied math in economy being the art of building relevant models for the environment in which we perform our activity. In the actual context of globalization, the business opportunities both in small and middle enterprises, the big corporations or even in states grew very much because of the policies started off by the states and the advanced technology. 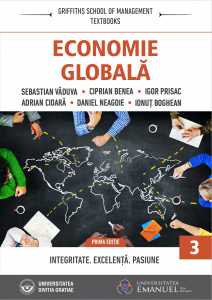 The Global Economy textbook offers the students who are working on their bachelor’s degree or their master’s degree in the area of management and other readers an overview of the great components which define and influence the economy at a global level. The textbook not only helps the students to understand the meaning of the global economy but also equip them to become businessmen with global impact. 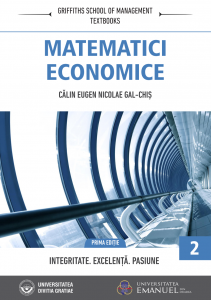 In the textbook there are theories, concepts and practices presented which define the global economy, in a manner and in an attractive, interesting format that facilitates interaction, learning and application. 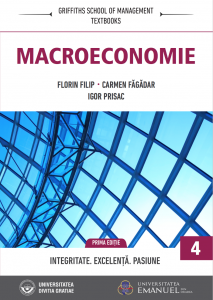 The textbook presents the most important notions of the national economy, concepts that are universally valid and that should be known by every economist. 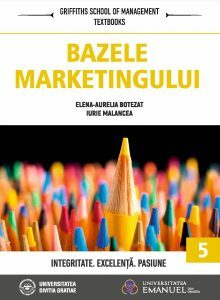 Defining and explaining them is done in the light of many articles which appeared in professional magazines and the real information, collected from the national economy of Romania and the Republic of Moldova. The interactive nature of the textbook is strengthened by the numerous opportunities that the students have and applying the learned concepts. Daily, more and more statistics and information are elaborated by the state’s institutions at a national level: Government, the Treasury, the National Bank, the Institute of Statistics etc., that they can understand and analyze more efficiently. From each chapter, the students are given indications for extra lectures, articles, and a series of applications through which they can verify the obtained knowledge.